For better or worse we’ve all formed habits, right? We brush out teeth at night. We make a pot of coffee in the morning. We murmur the same phrase every time we say good night to our significant other. We answer our personal phone one way, and answer our work phone another way. We drive the same route to work or school every day. We pull out our phones and check e-mail whenever we go more than three seconds without something else to do. Or maybe it’s Twitter, or Facebook, or a mobile game. 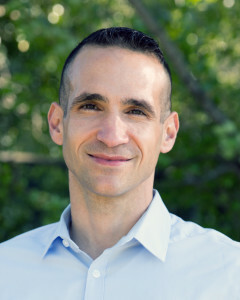 This episodes’s expert, Nir Eyal. And it’s not by accident. Mobile games are usually designed that way. Once you know how to look for it, you’ll be surprised at how systematic and regular the triggers to open up these games and apps are. Sometimes it’s at set times, like first thing in the morning, on a commute, or during a lunch break. But other times it has nothing to do with what the clock says and more to do with what our internal states are. To get a better understanding of how this all works and why some games are more habit-forming than others, I talk this week with Nir Eyal, an expert on habit-forming products. In his recent book, Hooked: How to Build Habit-Forming Products, Nir presents the Hooked Model to explain how habits form –and how they can be broken. All of this can be easily applied to understanding how games of any kind –but especially mobile games– are often designed to be habit forming, even if you don’t realize it. This is a really fun conversation, as we talk about not just Pokemon Go, but Facebook vs. Twitter, why humans don’t have fur, addiction, Snapchat, ethics, Zynga, monetization, the benefits of habit-forming games, and a few other unexpected things. Great podcast. I will get that book now. ps. You have missed the “Podcast” category of a page. This site uses Akismet to reduce spam. dang ky nhan tien cuoc mien phiLearn how your comment data is processed.